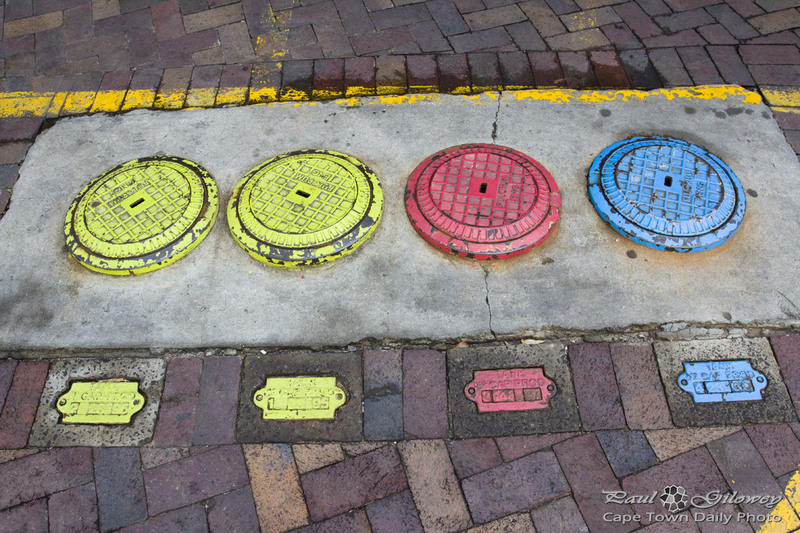 Red, yellow, blue, which one’s for you? When I saw these fule tanks at a local Caltex fuel station I couldn't help but to think of this old Citi Golf advert. Memories, heh? Posted in General and tagged adverts on Wednesday, 21 August, 2013 by Paul. 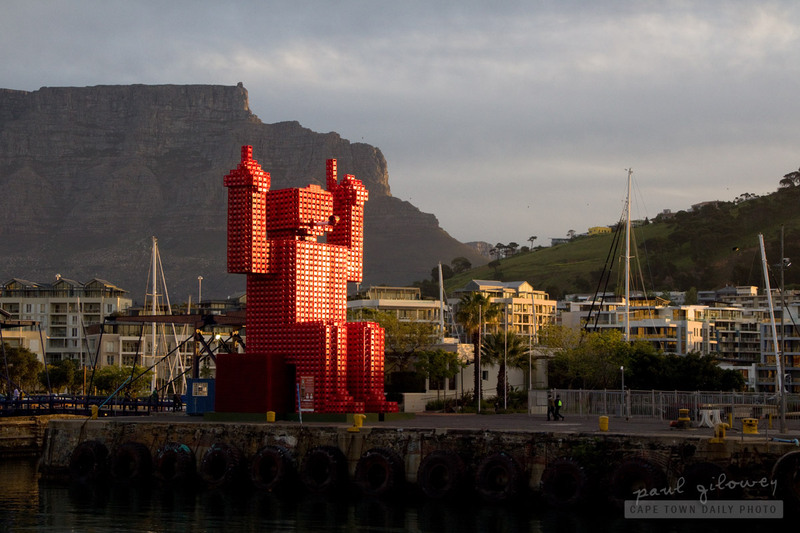 Coca-Cola had this red-crate robot built just over a year ago, around the time that the 2010 World Cup football tournament was held in South Africa. 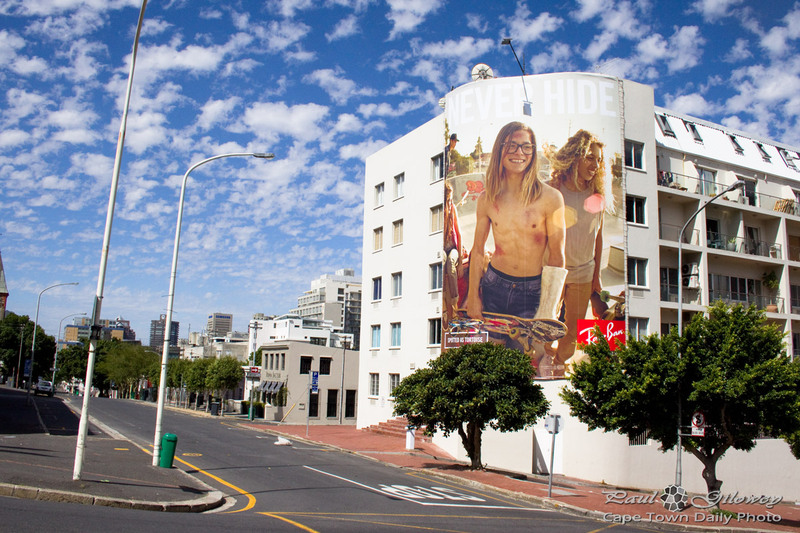 I think the robot is pretty awesome, but can you imagine how much the company must be paying the V&A Waterfront to advertise their brand with such a huge 3D billboard? Did you know that the Coca-Cola company is 125 years old and that soft-drink was originally sold as a medicine?! Isn't that just crazy?! Posted in General and tagged adverts, table mountain, v&a waterfront on Friday, 30 September, 2011 by Paul. Craving cake and coffee (and just needing to get out of the house) we ended up at Arnold's Restaurant in Kloof Street. While sitting there, I started to wonder about the flipfile of little adverts dotted on each table: I wondered (a) whether or not other parts of the world have this kind of table advertising, and (b) whether or not these ads really work. For the first question, I'm hoping that you would assist me; and in the case of the second I have an opinion (and I wouldn't mind hearing your opinion of my opinion...). You'll find these little flipfiles of adverts in many restaurants, but I'd be keen to know from any of the advertisers if they've actually brought in much business; I'm not sure that they do bring in any significant amount. The concept of table ads is a great one, but I think that they generally fail in their delivery - in my opinion, of course. I found myself browsing through a set of boring ads, putting the booklet down, and not thinking of it again. Sure, if I happened to be looking for a painter, or a plumber, then perhaps I'd take down the number... but then again, I'd just as easily find the info in the yellow pages when I'm home. What I'd like to find in these booklets are quirky, funny, interesting and off-beat adverts that catch my attention. I'd give those kind of ads a second look, give the advertiser credit for their originality, probably chat about the ad, and be more likely to take down the number (or hopefully URL!). 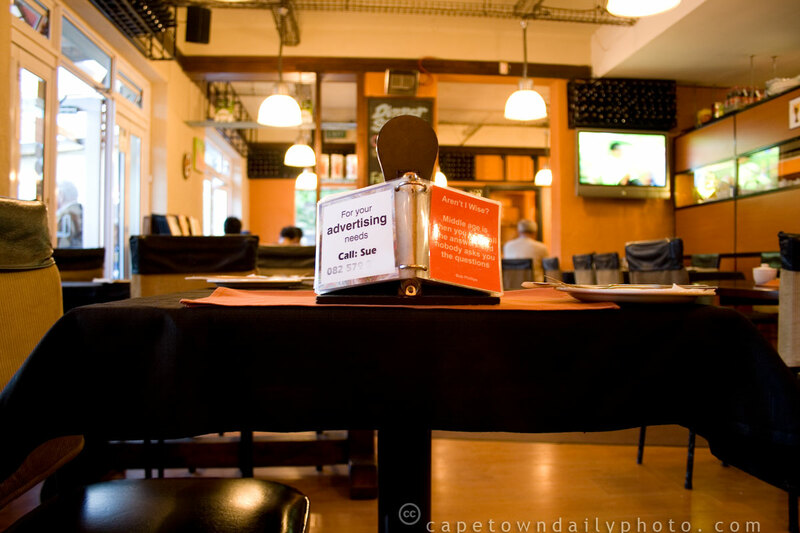 Posted in General and tagged adverts, restaurant on Friday, 1 May, 2009 by Paul.